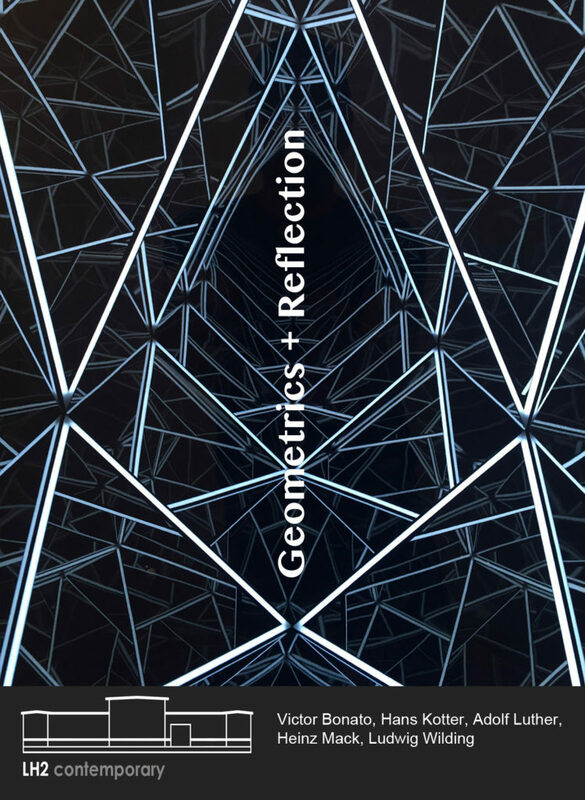 The experimental exploration of geometric compositions, light, space and reflections unites the artists of the show: Victor Bonato, Hans Kotter, Adolf Luther, Heinz Mack and Ludwig Wilding. In the context of significant and very different positions from the 20th and 21st Century, the change of context and technologies becomes visible. The significance of Zero, Kinetic Art, Concrete Art and Op Art today shows their acclaimed rediscovery and in the show well-known works by Adolf Luther, Heinz Mack, and Ludwig Wilding. Hans Kotter´s fascinating light pieces show exciting developments and new approaches in the 21st century.